My darling Hayden Belle has a new obsession and it's a movie called "Trolls." I think she has watched it 17 times in the past two weeks. She is singing all of the songs, doing all of the dancing, and incorporating the lines into her daily dialogue. 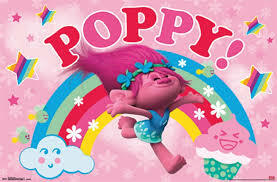 One of the characters, Poppy, says "Classic" when another character does something of long-lasting entertainment. And Hayden has totally picked up on it. Hayden: "Daddy, can you get me some milk, please?" Hayden got registered for kindergarten this week. I felt super old when they mentioned that she will be in the class of 2030. Hayden had a conversation with her cousin. Hayden's cousin: "Hayden, what is your middle name?" I think I have mentioned on here that is what I call her sometimes. I also call her Hayden Belle but it looks she's liking Baby Doll a lot more. Hayden took a picture while Mrs. Shife was getting her hair cut. Hayden likes it when her "puppy wuppy" sleeps with her. Thanks for listening last week and offering kind words and thoughts. in a salmon one day. Enjoy these special times when your children are small. I got fed up with people telling me they don't stay little for long, but they were right. ahhh, the sleep of the innocent. it's been over 50 years since i've enjoyed that. Colin is pretty into Trolls as well, which he saw in theaters with my mother in law. We're still a ways away from kindergarten but once again, I get to watch you go through it first. Trolls were around in my childhood (60s), my children's childhoods (80s/90s) and now they're back ... they certainly seem to appeal to kids. 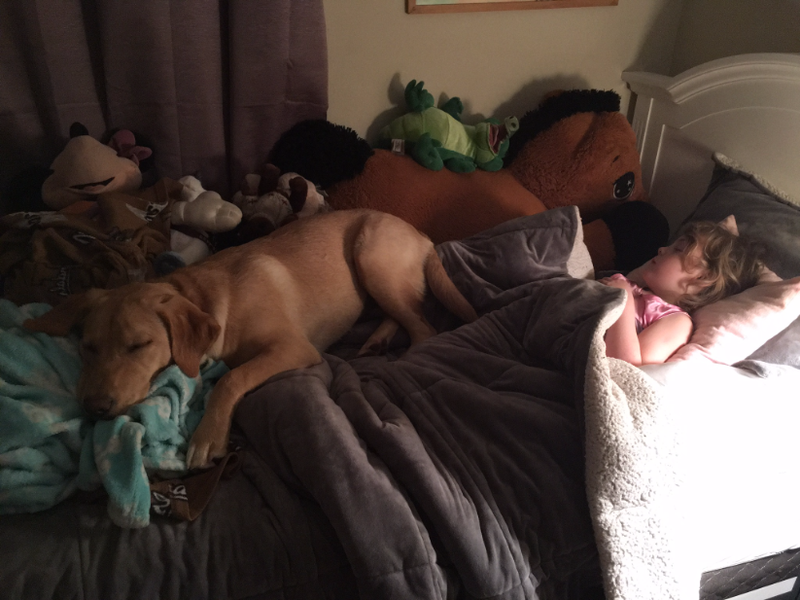 Ms Frizzle is bigger than your daughter, or seems to be ... nice of her to leave a little room for Hayden at the edge of the bed. Fabulous post, Matt. 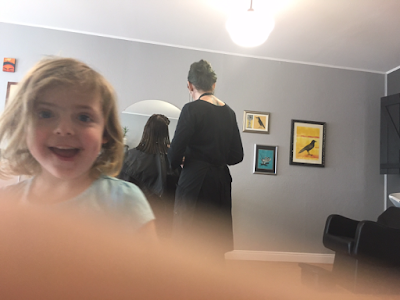 Absolutely adore the photo Miss Hayden took of herself, she is growing into a real beauty, her looks as well as her personality. Love the selfie, she looks so pleased with herself. Ms Fizzle seems to be dominating Hayden's bed, but she obviously doesn't mind at all! 2030? I remember thinking the same thing about 2017. Our weather has been great too. Might even make it to the 50's this week! She's adorable! It's so cute to hear how they use words and phrases. My girls had some that they've grown out of, but I repeat them once in a while so I don't forget. My 4 year old loves Trolls, especially the Justin Timberlake song. My 7 year old likes the movie but purposely voted against JT for the Nickelodeon Kid's Choice Award just to tease her sister. Sigh...my daughter is old enough to vote - and vote out of spite.